Helius Designs was formed in 1982 in the wake of the Cambridge-based company Tangent Acoustics. It's hard to believe now, but at that time tonearms seemed like the forgotten component in the hi-fi chain. 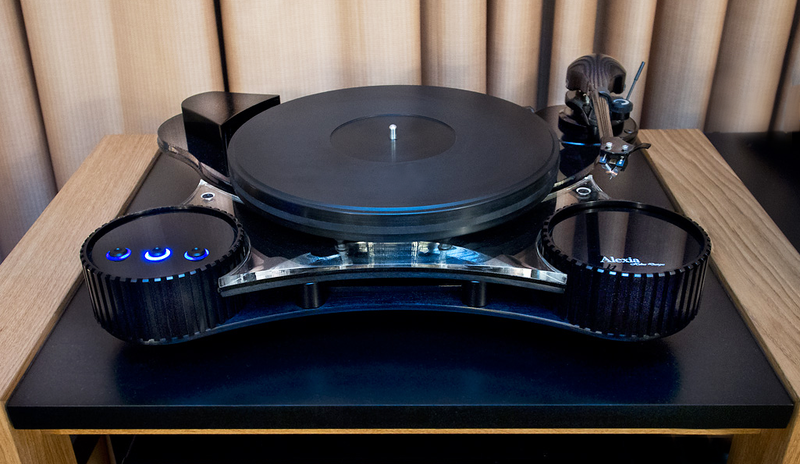 Chief designer and rocket scientist, Geoffrey Owen's latest masterpiece is his first turntable design, the Alexia. We think it's not only a sonic masterpiece, but also one that is aesthically appealing, simple to set up and operate. Wes Bender Studio NYC is proud to be the first in the US to debut the Alexia. We'd love to spin some records together. Give us a call to schedule an audition to experience Alexia. Helius Alexia turntable w/ Omega tonearmIf Helius was to embark on a turntable project, it not only had to be a perfect match for ours, or any other tonearm, but had to offer a substantial leap forward in original engineering. To this end, we are proud to offer what we think fulfils our criteria, the Alexia turntable. Packed full of ideas never before incorporated into a turntable, the Alexia is without doubt a true masterpiece that raises the bar of analog performance in a component at its price point. From the optically encoded drive that references itself against the actual speed of the platter, to the unique double wishbone suspension that affords the stylus a stable yet highly protected environment that isolates it from the external world, the Alexia does many things so very new. At last, you have a product that considers the finer points of setting up; from its horizontal levelling to the single-screw easy adjustment of the suspension....From the vexed question of dressing the tonearm cables to that of universal armboards that facilitate the easy upgrade from one arm to another....the Alexia does it all. Moreover, it succeeds in doing these things in an aesthetic package that exhibits the standards of design finesse our customers have come to expect from Helius. We proudly represent the full line of Helius tonearms from the flagship Omega series to the Aurora & Scorpio 4. Both the Omega Standard and Omega Silver Ruby tonearms combine 30 years of Helius Designs research and development and take it further. The standard version of the Omega is mechanically very similar to the Silver-Ruby Model. The Omega Silver Ruby uses tungsten bearings, copper wire and comes in a different color configuration. The standard version is anodised black with silver counterweights. This sophisticated arm is dynamically balanced, damped by differential masses and features non-coincident bearings. It’s also an elegant tonearm that pays close attention to small, significant details like bracing ridges machined into the headshell, internal cue construction, silicon bias correction, collet clamping base plate, micro-adjustment of tracking downforce and more. As you can see, it’s also gorgeous. British designed and made. It comes in three versions, but the Omega is the middle version and the sweetheart of the line. It was chosen by Paravicini to be the arm most likely to succeed on the Disk Master Turntable &helip; it's not cheap. However, it toasts the every VPI, SME, and Clearaudio design by a considerable margin. What impressed me was the precision build and the SOUND. With ZYX, Grado, Dynavector, Benzes and Ortofon carts, you will plotz. Fabulous! Open! Colorless! Elegant! Alive! Master Tape-like! are from my notes. The music has energy and blood. Yields superb response from top to bottom with state of the art depth. WOW. Again, the Helius Omega is not cheap, but it over-achieves like crazy and is a honey to use. The best arm I've used to date&helip; and that's no small achievement. The Silver-Ruby Omega is the high-performance version of The Standard. Cosmetically, the Silver-Ruby is a chromatic negative of its Standard sibling; the latter is a black arm with a silver counterweight, the Silver-Ruby model is silver with a black weight. The Silver-Ruby can be custom-ordered as a black arm with a silver counterweight. Mechanically, the two models are similar, but the tungsten balls are replaced with 12 large rubies that are formatted in the Helius tradition of a tetrahedral 3-ball race. A unique design perfected by Helius in the 1980’s and used ever since. The jewelled bearings are coupled with silver internal wire—available in single strand silver or cryo-litzed silver. The cryo-wired version uses nearly 8 meters of silver wire. 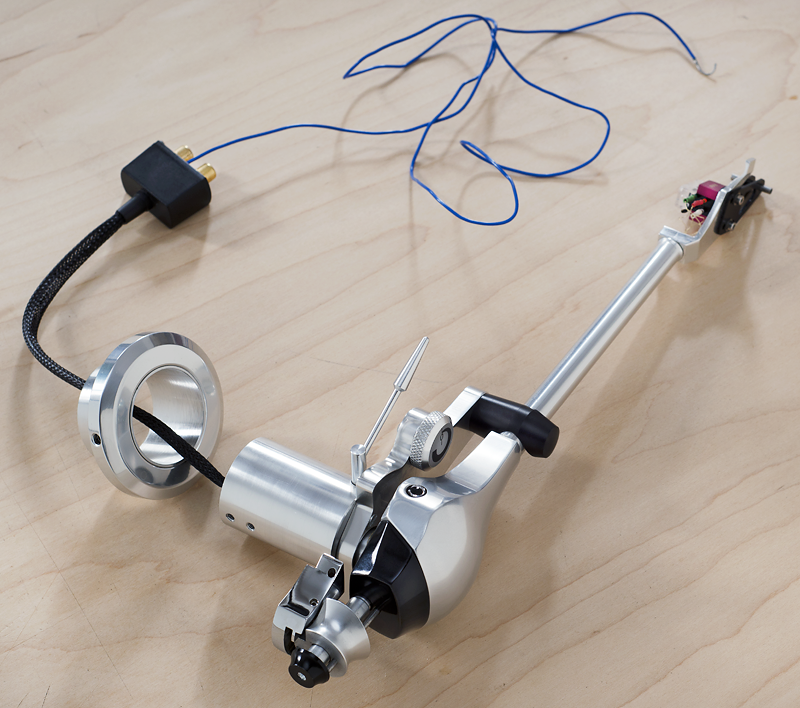 Wes Bender Studio NYC is pleased to recommend the Helius Designs Omega Tonearm line. Come give it a listen and you'll be able to hear why.